Imagine for a moment that you work in the customer service department at a grocery store. A customer comes in one day and says they need to return a bag of bread. Most likely, the store you work for already has a set of written rules in place for how to handle this situation. That written set of rules is what is known as a standard operating procedure. A standing operating procedure should never be difficult to read or vaguely worded. It should be brief, easy to understand and contain actions steps that are simple follow. A good standard operating procedure should clearly outline the steps and inform the employee of any safety concerns. The standing operating procedures should be the basis for training any new employees. They should also be updated every year to ensure they stay relevant to the current needs of the organization. Why Do You Need Standard Operating Procedures? Some business owners have a hard time grasping why standard operating procedures are necessary. They already trained their employees so why do they need a written document outlining the process as well? This is sort of like asking why doctors have a written list of procedures they follow before performing surgery. Or why the FDA has a written list of procedures for how restaurants can handle food. When the same task is completed in many different ways, it will always take longer to complete. Having a standard operating procedure in place streamlines the process so employees can accomplish more in less time. Having a standard operating procedure in place ensures that regardless of who is working, business processes are being completed the correct way. Standard operating procedures make your employees’ jobs easier because no longer do they have to guess as to how they should be performing their jobs. And they don’t have to try to rack their brains to remember what you told them when they were first hired. How can you evaluate your employees if you don’t have written standards in place? Without standard operating procedures, employee evaluations become a matter of personal opinion, which is hardly fair to your employees. When employees perform the same tasks in completely different ways, it is not only inefficient it is actually a liability for your business. Standard operating procedures ensure that employees perform their job functions in a safe and consistent manner. One of the biggest misconceptions about standard operating procedures is that they will cause businesses to become rigid and inflexible. This article in the Harvard Business Review does a great job of explaining how having systems in place for employees to follow actually makes businesses more flexible. Now you know what a standard operating procedure is and why you need one. However, you may be wondering how you can actually go about creating your own. Standard operating procedures require a lot of planning and preparation before you can even begin writing the document. To get started, have the managers talk to your employees about the duties they perform in their jobs every day. This will allow them to begin creating a detailed list of processes that need standard operating procedures. From there, you can review the list with your managers and look for any redundancies. This list will serve as a starting point for creating your standard operating procedure. In this step, you will need to decide on a format for your process. 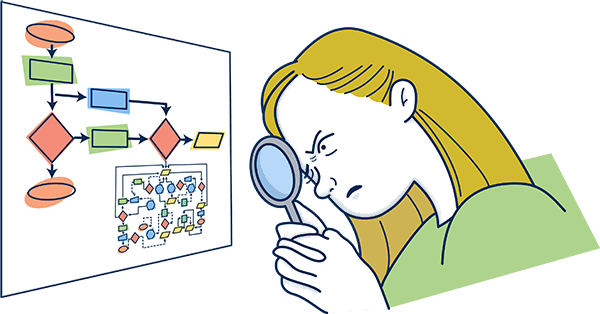 Do you want it to be a step-by-step guide or a workflow diagram? From there you can create a template. You will also need to decide how your standard operating procedure will be made visible to your employees. Will you have a written copy posted or will a copy be available online? Now that you have your list of processes and you have created your template, you need to talk to your employees. This is important because you can’t fully understand the process unless you have spoken with the people who actually perform it on a daily basis. Only speaking with management is not enough. Once you have spoken with your employees, immediately add your notes to the template. From there you can review your standard operating procedure with employees once again and obtain input from your managers. You should also determine who will be responsible for oversight and maintenance of the standard operating procedure. Keep in mind that all of your standard operating procedures should read the same way while still distinctly describing the functions of each area of your business. Your work is not finished once the standard operating procedure is written! In order for it to remain relevant and useful, you must maintain and update it at least once per year. A written standard operating procedure not only lets your employee know how they should be doing their job, it lets them know why. When you explain to employees why tasks are performed in a certain way they will be more likely to complete them. Standard operating procedures are time-consuming to create at first but the benefits are worth it. And they will save you a lot of time and frustration down the road. Standard operating procedures are detailed, written instructions on how to perform a routine business activity. They are easy to read and they explain every detail of the process being described. It is important to keep in mind that a good standard operating procedure doesn’t focus on what needs to be done but rather how it should be done. A standard operating procedure is an effective tool that every business should have. Standard operating procedures will give you a better understanding of your business processes and help you decide how to move forward. They will ensure that all employees are performing the business processes in the same way. Having standard operating procedures in place will also give you the option to scale your business more quickly. This is because standard operating procedures make it easier to replicate these processes across your organization. Many businesses choose to implement standard operating procedures by displaying written documents in areas where they will be clearly visible to all employees. However, often times there are better tools available to businesses. Using a workflow app like Tallyfy is a great way to create an interactive database of information rather than a cumbersome document. Feel free to visit our case studies page to read how other business owners have successfully utilized our app in their businesses. Process vs Procedure: What’s the Difference? ← Definition – What is Project Management?